Artificial intelligence has a PR problem. So says Ford Motor Co. futurist Sheryl Connelly in the automaker’s 2019 Trend Report. The assertion was actually first made in the 2018 report, and I would venture to say, it’ll appear again in the 2020 report. If I had a dollar for everyone who said they feared autonomous cars or simply didn’t think they’d even like to try them because they “loved driving too much,” I could probably take a nice vacation somewhere warm. But in reality, we are all already using driver-assisted technology without even thinking twice about it. How many late-model vehicles on the road today don’t have at least basic cruise control and blind-spot detection/warning and back-up cameras? These are forms of technology designed to make driving easier and safer, which is what autonomous driving will offer, just to a larger degree. Advanced driver assistance technologies include all of the above features and more. Acceptance of autonomous features will be gradual, Connelly predicts. “It's not going to happen overnight,” she says. "I think that [acceptance will come] if people become more and more comfortable and confident with features like active park assist, where the vehicle is actually controlling the steering wheel, or lane-keeping assist, where the artificial intelligence technology helps keep the vehicle in the middle of the lane. "As people start to use that, and they understand the science behind it is artificial intelligence, I think it will take some of the mystery out of it. I feel like those are emulating the business blocks of what autonomous vehicles will be like,” she notes. Several automakers, including Ford, have packaged these kinds of features into systems like Ford Co-Pilot360, which includes blind-spot detection and cross-traffic alert, lane-keeping system, pre-collision assist, adaptive cruise control, evasive steering assist and enhanced active park assist. I recently checked out the features during a test drive of a Lincoln Nautilus. I put plenty of miles on the SUV during a road trip from Detroit to Nashville. I found lane-keeping assist to be a welcomed safety feature as it prevents drifting out of the lane. If the car “sees” this is happening, it immediately will gently steer back to the center of its original lane. Adaptive cruise control, in particular, is a godsend and I will never buy another vehicle without it — it’s as imperative as having heated seats in Michigan. ACC is like standard cruise control, with the added bonus of automatically slowing down when the traffic in front of you slows down and then speeding back to your pre-set speed once the traffic clears. You usually think of using traditional cruise control when you are on the open road without much traffic. But the beauty of ACC is, it makes driving in stop-and-go traffic so much less stressful and far safer. I would venture to say if everyone had adaptive cruise and used it consistently, we’d have far fewer rear-end collisions, which often occur in stop-and-go city traffic and are a result of driver fatigue and inattention, factors this technology aims to curtail. Drivers must still pay attention and be ready to brake or take over steering if the technology disengages. But that happens less and less often as advancements are made. 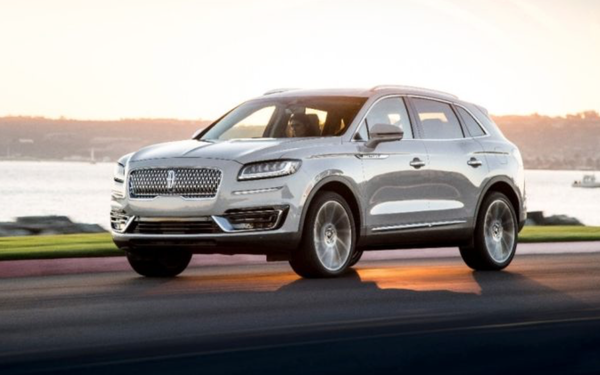 As the new Lincoln Nautilus began rolling out across the country late last year, Lincoln wanted to introduce its advanced driver assistance technologies to consumers in a palatable and easy-to-understand way. For a series of digital and TV ads, the automaker used billiards to illustrate the vehicle’s latest technological innovations. The spot from HudsonRouge shows Matthew McConaughey discovering the billiards table and making trick shots that parallel some of the driver-assist technologies that make this vehicle so unique. Viewers can see the path the pool ball makes during the trick shot as it is compared to a similar maneuver that different elements of Ford Co-Pilot360 allow the vehicle to effortlessly perform, without the assistance of the driver. It’s a great spot that helps to visually explain the benefits of the simple-to-operate system. The technology isn’t just in high-end luxury cars like Lincolns. Ford is rolling it out across divisions and it will become more and more available. Other automakers, including Nissan with ProPilot, are offering similar options. Cadillac currently only offers Supercruise in its scheduled-to-be-discontinued CT6, but CMO Deborah Wahl assures during a recent interview it will be rolled out across the division lineup by 2020. She makes the point that the technology like lane keeping assist is especially great for nighttime driving, and could be especially helpful to aging consumers who might not see as well in dim light as they used to. Automakers must continue to work hard (like Lincoln) to get consumers to see the simplicity of the technology and to be willing to try it out during an actual driving situation. I suspect it will be like cruise control. Someday in the (hopefully near) future, all of this technology will be common and accepted and put into use, which will make the roads safer for everyone. Senior reporter Tanya Gazdik covers automotive, sports, entertainment and pets for MediaPost's "Marketing Daily." She previously was the deputy editor of MediaPost, animal welfare reporter at "The (Toledo) Blade," Detroit bureau chief of "Adweek" and associate editor at "Ward's Automotive Reports" and "Ward's AutoWorld."